Milan-Palermo preview: how much do we care about the Cup? Milan host Palermo on Wednesday in the first leg of the Italian Cup semi-final. Coming off the back of a wonderful weekend, Milan can go into the game knowing they are the best team in Italy. Palermo, on the other hand, will see the clash as a unique chance to bring European football to Renzo Barbera next year. Six points behind 6th-placed Roma, the Sicilians have minimal chances of reaching the Europa League through league position so they will give it their all in the Cup. However, before we get into game details, I'd like to dedicate a few lines to the big shiny elephant in the room. The elephant in the above photo is completely out of style - can you believe it's wearing a blue ribbon? It's high time it got with the times and switched it for a brand new red and black one. After Napoli's slip-up against Udinese, Milan have one hand on the scudetto and I for one am getting that celebratory feeling already. Save the warnings about karma and jinxing, I can't help it. We are on our way to the first Serie A title since 2004 and it feels great! But, enough about that. Let's concentrate on the matter at hand. 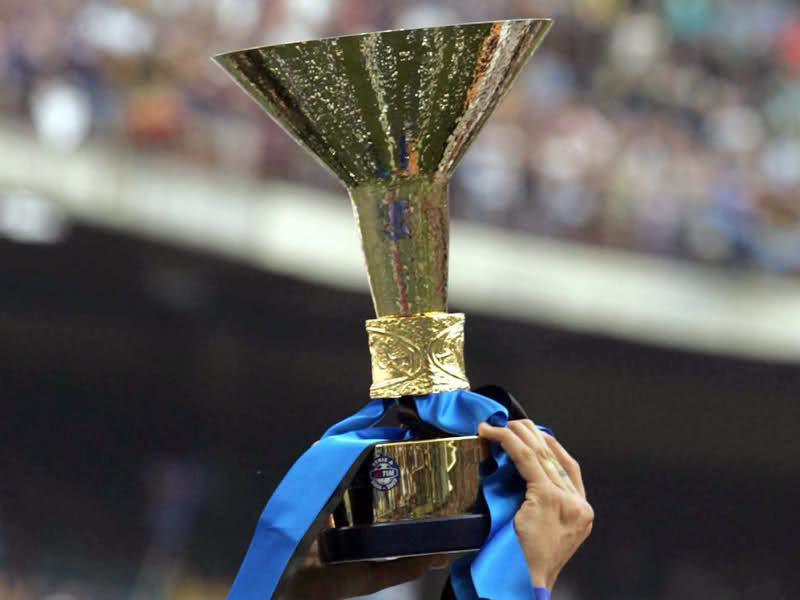 How important is the Coppa Italia, really? If Milan still had European football to play and a wide open title race, I'd say - not very. As it is, Milan is 6 points ahead, out of the Champions League and there is no reason the players shouldn't be able to approach the Cup seriously. That isn't to say Allegri shouldn't mix the line-up up a little. Pirlo is set to get the nod in Seedorf's place, but on recent form, Clarence must be in the starting eleven again next weekend at Brescia. I'd give Gattuso a break as well, introducing Flamini in his place. Mark van Bommel has become such an integral part of Milan's gameplan that he is undroppable in my eyes, as no-one else in the squad has the same combination of strength, experience, defensive play and passing range. With Ambrosini out injured, no-one even comes close. Bringing van Bommel from Bayern was a masterstroke from Galliani and I for one hope he's still here next year. Ibrahimovic should, naturally, start. Hopefully he'll find the Coppa less stressful and will manage not to leave the pitch early. In the perfect scenario, we'll see a vintage Zlatan performance that will help him leave his problems in the past. Either Robinho or Cassano will partner him up front, it's hard to tell what Allegri's decision will be but I'm leaning towards Robinho given his understanding with Ibra. As soon as Zlatan's decline in form started, Robinho's contribution was reduced as well so let's see if they can find the magic they had in the first half of the season. Last time Milan played Palermo, we suffered a loss that allowed Inter to come close to the first spot, but the derby proved the difference in quality and resolved that issue quite nicely. After that game against Palermo, everyone cried about Milan being Ibra-dependent, now we have a bit of a different situation - Pato is currently the primary attacking weapon and he's out with a muscle strain, but in his place is non other than Zlatan himself. So, are we Pato-dependent now? We'll just have to wait and see. In defense, Zambro should get a break with Antonini filling in for him. On the other flank, there is no-one who can give nearly the contribution Abate does so he is likely to start. Boateng and the center back pairing should also be on the pitch from the start, as there aren't any reasonable options on the bench, apart from perhaps Sokratis and Merkel. Merkel could play instead of Boateng, but seeing how this is the semi-final and hardly the part of the season one should use for experiments, Prince needs to play. Palermo will play their usual formation with three centre-backs which will make it harder for Zlatan to dominate the box, and lots of movement off the ball will be necessary to create space in the final third. But, seeing how this is the first leg and Milan are playing at home, holding possession while keeping things tight at the back will be a better approach than committing too many men up front. Not conceding in the first leg is crucial, even more crucial than scoring as it would allow Milan to play to their strengths in the return game. Van Bommel will once again have the task of shutting down the oppositions main midfield threat, and the fragile frame of one Javier Pastore is in for a tough night against the Dutch enforcer. With one hand on the scudetto and one eye on the transfer market, Milan still need to keep both legs firmly on the ground and take it one game at a time. Forza Milan!